The bed is a special place where we work, play, snuggle and sleep. Canadian based Sleep Envie‘s thought process is that we are in bed for such a long time each day why not be comfortable? Their mission is to improve your overall sleep experience so that all the other aspects your life can be optimized. By customizing your sleep preference your bedroom will be transformed into a place of peace and productivity. 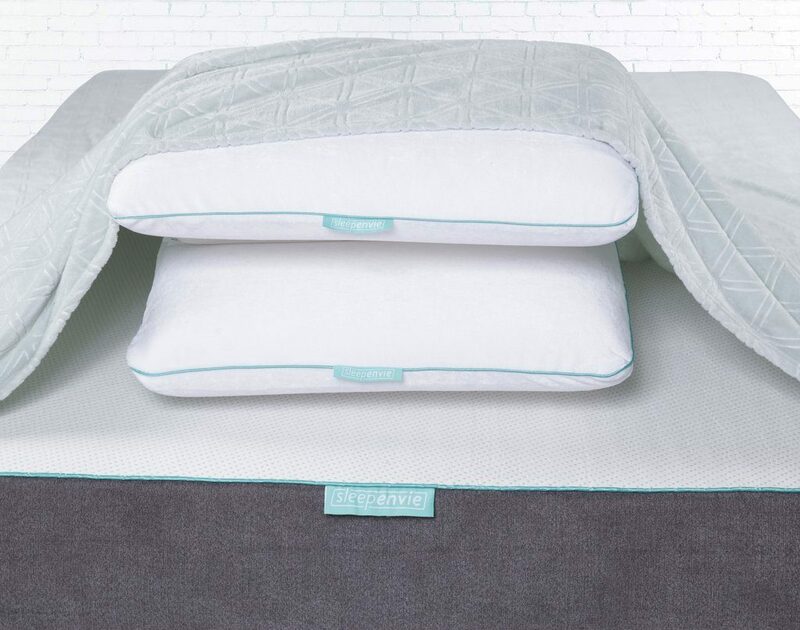 Their Sleep Envie pillow features a luxurious removable/washable velour cover with conforming aerated memory foam to cradle your head and neck for optimal sleep comfort, pair that with their Sleep Envie eye mask and wake up refreshed. Seals out the light while providing soft cushions under your eyes for support. These two comfy products have been included in the Hollywood Swag Bags being gifted at The Four Seasons Hotel honoring Oscar Weekend.